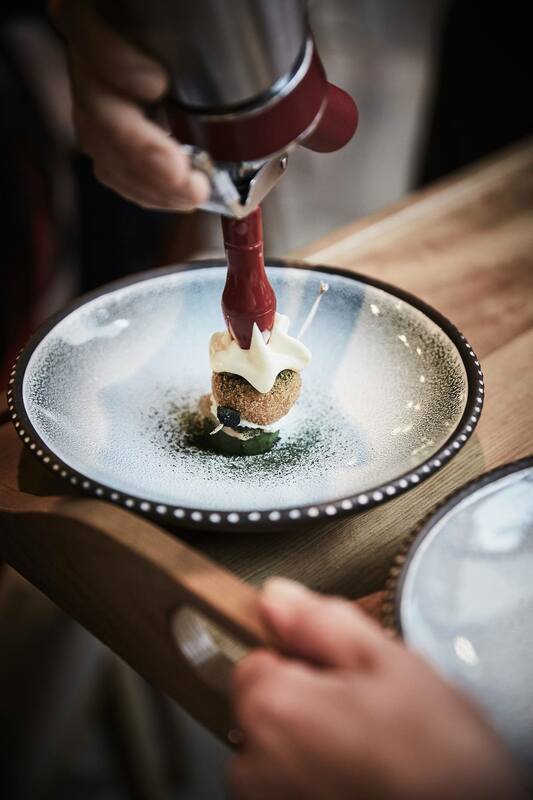 Custom collection of tableware is now serving possibly the best cuisine in Riga for its customers. A carefully picked and custom made collection of plates and bowls was specially produced for Restaurant 3. Located in the heart of Old Riga, Restaurant 3 offers exquisite taste experience with locally grown and harvested products. For the absolute taste experience drop by and enjoy a great lunch or dinner, but don’t forget to reserve your spot first! In need of custom unique and contemporary handmade tablewear for your cafe or restaurant? Feel free to contact us, we live for custom projects and are up for realising your craziest ideas with our network of craftsmen. More images and comments in our Journal section.